The New England Patriots aren’t known for fast starts. 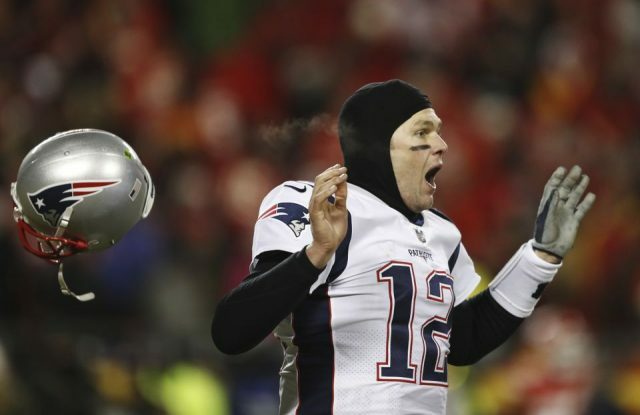 But this year, fans and media personalities were crying doom and gloom even earlier and predicting doom for the 2018-19 Patriots. Seth Wickersham’s Jan. 14 piece detailing the reported strife between the Patriots’ Holy Trinity of Tom Brady, Bill Belichick, and Robert Kraft fueled a media frenzy that lasted through the Super Bowl, a Patriots loss to the Philadelphia Eagles. Brady skipped mandatory minicamp, an event that would seem innocuous in any other year; but this wasn’t any other year. Rumors swirled throughout the offseason and into training camp that Belichick wanted to trade Brady the previous year and make Jimmy Garoppolo his starter. But Kraft reportedly stepped in and stopped the trade, and there was tension in the ranks. Brady hated Belichick for trying to trade him. Belichick hated Brady for going over his head to Kraft and hated Kraft for doing something he had never done; involving himself into personnel matters. Add into it the lingering cloud of Rob Gronkowski’s drama, and it was a recipe for a tumultuous season. Once the Patriots got to the season, the problems continued. Julian Edelman was suspended for the first four games. Gronk looked like a shell of himself. Josh Gordon played 11 games before stepping away once again right before the playoffs. The Patriot defense looked lost in several games down the stretch. The Patriots finished 11-5, with a road record under .500 for the first time since 2009. The season was lost for many after a loss to the Steelers, their second two-game losing streak of the season, this one at a time when the Pats were supposed to be rounding into form. The playoffs rolled around, and the national media could barely conceal their glee. The Patriots were going to fall, and as Rob Parker put it, “the Reign of Terror is over.” The Patriots responded to it by taking on the Los Angeles Chargers, led by the one-two pass rush punch of Melvin Ingram and Joey Bosa. Philip Rivers and co. had never been higher—and the Patriots thrashed them 41-28 and sent them back to California with a flourish. Then they traveled to the Kansas City to take on the presumptive MVP in Patrick Mahomes, in the loudest outdoor stadium in the country. Their defense tied for the most sacks in the league and was getting All-Pro Eric Berry back. And the Patriots beat them in overtime to silence the Arrowhead Stadium crowd. It’s been more than a year since the Seth Wickersham piece sent waves of doubt through the Patriot faithful. Brady and Belichick are appearing in their ninth Super Bowl in 18 years. It’s a testament to them; if there was any disconnect, these two have the ultimate ability to compartmentalize. So much for the drama. This Patriots team had doubters upon doubters. But here they are, in the big dance once again.